Under the 2018 topic of Deep intelligent mining, the School will focus on several key issues. 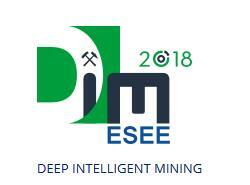 The participants will have a chance to learn more and discuss about themes such as what are the main challenges of deep mining, management of rock pressure, environmental issues, health and safety in deep mining, accessing and infrastructure in deep mines and case studies of relevant examples in the sector. During five days of academic program, the participants will have the opportunity to work in groups on practical case studies and test the theoretical knowledge gained during the lectures in practice. European Institute of Innovation and Technology (EIT) has granted financing of the educational project “Dubrovnik International ESEE Mining school” (acronym DIM ESEE) worth 0.5 M€ funded through the program KIC Raw Materials. The project consortium consists of eight key higher education and research institutions from the area of Eastern and Southeastern Europe (ESEE region) with the Faculty of Mining, Geology and Petroleum Engineering (University of Zagreb) as the lead partner. The main objective of the project is knowledge transfer, as well as strengthening innovation capacities in the mining, recycling and waste management sectors. This is a lifelong learning project that will be implemented in close partnership with industry stakeholders in all project consortium countries. During the four years of project implementation, the following key topics will be analyzed.